Please note that the following article is not reflective of the opinions held by ZeldaInformer as a whole. It was written reflecting the personal views of the author. That said, enjoy the read. Fans of the Zelda series get very passionate about different aspects of their beloved games. Some people become very serious, overwhelmed, even frustrated about certain topics within the series. Many a times fans are unwilling to accept what others have to say about the series. 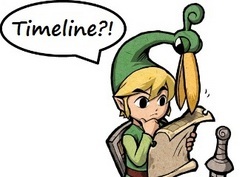 Take, for example, the touchy topic of the Zelda chronology: the timeline. Earlier this year Nintendo of America is alleged to have made a statement that there is no timeline. Some people responded very irrationally to this, even writing opionated articles in rebuttal. Some people couldn’t accept the statement from Nintendo, but others did. Today, theorists continue to strive in a search for the one true chronology, but some people have already found the answer. To some people it has been plainly obvious, to others it was not. To many it was hard to accept, but it exists. It is the truth about the timeline. As for me, I was one of the people that took a while to see and accept the truth. All it took was to read one article from a friend. Legends of Hyrule by Ben Lamoreux. The article took an open-minded and theoretical look at the possibility of there not being an overall chronology for the series, but rather, that there is a basic arc, with the games simply being retellings and different legends of the same bunch of stories. While I don’t agree with the articles main contention, it did scream to me the truth about the timeline. The truth is this: there is not an overall chronology for the Zelda series. Each game is simply a tale told by Nintendo, an experience for the gamer, that doesn’t have to immediately be placed. Nintendo makes the Zelda games outside of the constraint of a chronology. 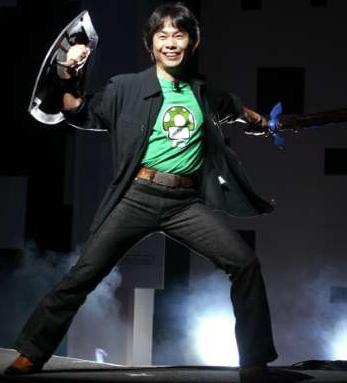 As Miyamoto says, he makes each game to tell its own story. There is, of course, certain confirmed arcs like that of the split timeline, obvious sequels and the Four Swords series, but there is no official way for them all to connect together. The whole idea of the timeline is a hypothetical construct. None of this means that we should stop placing the games and stop working on how the games fit together. We enjoy doing that, and it is in Nintendo’s best interest to let us fans see how we can fit them together. To face the obvious truth though: every timeline created makes assumptions, overlooks things and is biased. There is not a timeline that holds together perfectly, because there isn’t the direct potential of a chronology. There is the potential to create one in your mind, but there is not a confirmed, or true timeline. Looking at the whole timeline ordeal in this way is comforting in many aspects. No longer do you need to spend hours attempting to fit the games together, only to discover that there is always something wrong. Knowing the truth allows you to realize that there isn’t something to find. There is only a group of stories for you to organize according to the limited evidence, your interpretation, and your desires. Miyamoto has mentioned a document that details how the games fit together, but that by no means says ‘timeline’. It could simply relate together the different arcs or the different sequels, if it even exists. It’s not in the fans’ intentions to base ourselves off of a supposed document, especially when the truth is already there. If you haven’t already, free yourself from the bonds of striving for a chronology, and look at it from the logical perspective. The Zelda series is simply a group of games, related by similar themes, characters and settings. Nintendo makes it so that we enjoy the story, the play, the experience. They tell stories that don’t fit together perfectly, because that is irrelevant to Nintendo’s goals. They allow for us fans to piece what they give us together as a hobby, but when we can’t figure it out and are frustrated, it is a relief to know the truth. Begin to look at the series from a different perspective. Of course, we will always look at new games with timeline placements in mind, but don’t make that all you do. When you play Spirit Tracks, Zelda Wii and any other games to come, don’t look at it from a timeline perspective. Don’t play Spirit Tracks for the first time and analyze every detail of how it contradicts its placement of post Phantom Hourglass, or how it fits it. Just enjoy the game, enjoy the story, enjoy the experience.